Here's the KING KONG VS GODZILLA plot description from Toho. While it condenses the story considerably, it leaves no doubt about who Toho says won the final battle. This was published in Toho Films a few months after the movie was released in 1962. IMO, the fact that it was written close to the movie's creation and at a time when Honda, Tsuburaya, Tanaka, Sekizawa, etc were still alive adds far more credibility to it than any "retroactive" thinking on Toho's part (I should also add I've never seen Toho officially contradict what was written in 1962). Hopefully this will put this matter to rest. Of course, we've all known this for a long time--where it gets sticky is the fact that now Toho's press dept. says it was a tie, which seems to better reflect the movie's end itself IMO--*sigh* this'll never end. Soo confused! Cy, exactly when and where did they say this? I've read numerous reports this was said, but have never actually seen such a statement come officially from Toho. If an official Toho statement exists I'd love to see it. In any case, I'll take what was said at the time of the movie's release than something written decades later by someone who wasn't involved with the production. It's like if, decades from now, someone at Toho changes a plot point in GODZILLA X MEGAGUIRUS... since that would not be what Toho or the filmmakers intended it would be meaningless IMO. If it doesn't say this anywhere and I and a bajillion other people who've "heard from a friend" are actually wrong, then I guess Kong did win. As for the comparison to GxM, I'm not sure that's totally accurate. Changing a hard, factual plot point is one thing. Changing a general blanket opinion of a corperation that isn't identified anywhere in the film is another. But at that point, the whole opinion becomes moot. I guess it's just so messy to me I like to say it was a tie and leave it at that. As it is, I suppose this is the closest thing to an "official Toho statement"; I'll give you that. Well I guess it does not get any more official then that. I am surprised That toho would do that though, have Kong be the winner. I always assumed it was a draw and they just both had enough and left. Yeah, if they wanted to make it clear, why didn't they just have Kong rip his head off and later come up onshore, and have Goji wink at the camera? what is kong holding in the 2nd picture? Is that a flaming sword?!?! TrentonFella_83 wrote: what is kong holding in the 2nd picture? Is that a flaming sword?!?! No problem. If you look at that photo again you'll see Godzilla is generously lighting up another tree for Kong to play with. Who says they don't like each other? But, luckily, I'll take the easy way out and accept it. Personally, I don't care anymore who won or lost. At the time Kong was the big name brand and Godzilla was a newbie (it was only his 3rd movie after all). So it doesn't surprise me that kong won. Still that does that mean that King Ghidorah won in Monster Zero because the ending was the same as Kong's. ^^excellent point, and exactly why I don't put much faith in what Toho said in '62, even if it is "official". If Kong only wanted to get back to his island home, and Godzilla only wanted to stop him (for whatever reason), then Godzilla clearly would've been the loser. But as it stands, the ending is totally inconclusive. Again, my belief in this is not at all driven by that stupid fanboyish hostility towards any desire in which Godzilla loses. It just doesn't 'compute' how that ending in any way represents a victory for Kong; by the same token, nor does it indicate a loss by Goji. I have to wonder - would people make such a big fuss if Godzilla had popped up and swam away at the end? Yes then they would cmplain how no one won the fight. 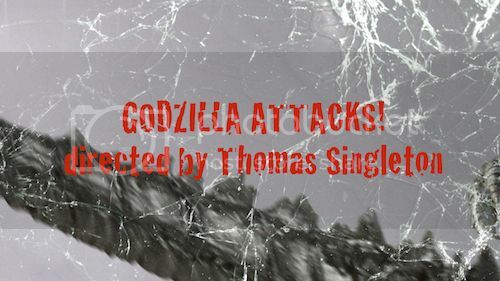 Doesn't really matter to me whether Toho said or says King won or Godzilla won, because I know in my heart that Kong can never ever ever ever ever in one million years even dream of beating Godzilla in any form of combat. Godzilla is just too powerful...end of story. Well, I have no problem with the movie Kong beating him fair and square, but my beef with Toho saying he won is that it conflicts with what I interpret having been seen on-screen. No, I think the Mothra larva clearly won, because they completed their goal..protecting themselves and the humans from Godzilla in that battle. Even though he wasn't killed, I don't think that was a realistic option or necissarily their goal. However, with Kong, it was a "fight to the DEATH!!!!!! ", if you get me, and so for Kong to simply escape and Godzilla to hit his head and presumably pass out isn't really a victory for either side, but just an inconclusive tie.